League Two side Portsmouth have signed striker Michael Smith on a three-month loan deal from League One club Swindon. Smith has scored 26 goals in 72 appearances for the Robins since joining from Charlton in January 2014. 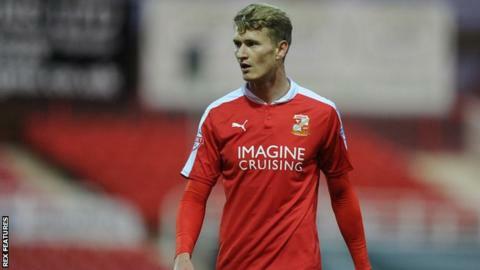 The 24-year-old joined Barnsley on a three-month loan in September, but he failed to score in 13 League One games. Wallsend-born Smith, who started his career at Darlington, scored against Pompey while he was on loan at AFC Wimbledon in 2013.